Prescription drug prices continue to soar, prompting hearings on Capitol Hill, and leading a columnist to suggest nifty ways how Big Pharma could better educate consumers about medications, especially since many seniors may be popping so many pills they may be endangering their well-being. But, as the Times dug into the price rises, the paper found disparities depending on who was asked to pay. 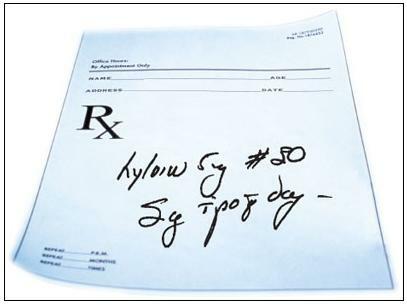 It turns out that the way drugs are priced is about as clear and understandable as a typical patient’s hospital bill. Various makers, the paper said, give discounts and rebates from list prices to stay competitive with each other. These reductions, some of them significant, go to insurers, companies, and providers that negotiate benefits on behalf of organizations. Meantime, the poor and uninsured get stuck─they pay the full list price, which can be extremely high. Big Pharma also may jack up its list prices to increase profits, even after it offers discounts and rebates to some, the Times noted. The whole process of how drug prices get set and listed, the Times said, is so confusing that the paper tried to make the mess more understandable with its equivalent of a drug pricing FAQ (frequently asked questions). Meantime, members of a U.S. Senate panel have taken to task the deposed CEO of a drug maker that pursued a strategy of sending prices of old, existing drugs into the stratosphere. The senators coldly interrogated executive Michael Pearson as to why his former firm, Valeant, has hiked prices on 16 of its medications, including the cardiac-care drugs Isuprel and Nitropress. Valeant acquired Isuprel and Nitropress in 2015 from other drug makers, and quickly raised their prices by 525% and 212%, respectively. Pearson apologized, sort of, saying Valeant had erred in pursuing its aggressive price hikes. The company, he conceded, has earned a cold-blooded reputation as concerned more about profits over patient-customers. He could not, when questioned, name a single drug that Valeant had acquired in its serial-buying spree on which it had not jacked the price up. Several health care experts also testified as to the real-life harms and challenges Valeant’s price hikes had caused. The ex-CEO said the company would change its craven practices. But he no longer has an executive role with Valeant─which, if there is anything satisfying to gouged consumers, has gone from Wall Street darling to corporate mess. Valeant is facing multiple federal investigations for its practice of buying companies, slashing costs and raising prices, as well as its relationship to a mail-order pharmacy, Philidor. It has since cut ties with Philidor. The company’s stock has lost 90 percent of its value since last summer, and it is facing $30 billion in debt. Besides Pearson, other Valeant leaders testified before the Senate Special Committee on Aging, which has been investigating drug prices. The company’s former chief financial officer, who has been blamed for what Valeant has said are irregularities in its finance reporting and has been asked and refused to step down from the company’s board, denied blame for the company’s current problems. Bill Ackman, a hedge-fund chief who has staked billions on Valeant in a financial wager that looks terrible now for his investors, said he would, in his new role as a company board member, work with other leaders to change the company’s pricing strategies and tactics. To their credit, the Valeant executives did not evade the committee and its questions, nor did they act like jerks and Tweet about their appearance, as did Martin Shrekeli, the smug, former CEO of Turing Pharmaceuticals, which also gained notoriety for jacking up drug prices. Big Pharma’s defenders say that outfits like Valeant are outliers, which earn notoriety for their huge price hikes. But the health news site Stat reminds that Valeant’s not alone. Stat has reported on Gilead, the maker of the hepatitis C therapies sold as Solvadi and Harvoni. They generated $19.1 billion in sales last year alone, partly because a full treatment regimen of each runs $84,000 and $94,500 per patient, respectively. But Gilead is starting to struggle─its first quarter earnings and revenues missed analysts’ targets─partly because it is running out of the patients who, quickly and easily, could afford its pricey Hep C care. So how do pharmaceutical companies respond when market challenged? Biogen, a company that had a financial hit on its hand with the $55,000-a-year drug for multiple sclerois, has launched a seven-month, $39 million television advertising blitz to perk up the med’s flagging sales, Stat reports. This unusual campaign, with a 60-second spot airing more than 3,800 times, 700 of them in prime time, targets a tiny market─a few hundred thousand Americans with relapsing MS.
That’s also just part of the $4.5 billion that Big Pharma devotes to its lavish direct-to-consumer advertising, spending that has increased by 30 percent over two years, says Richard Friedman, a clinical psychiatrist who wrote a recent New York Times column proposing how drug makers should improve the information they provide patients about meds. In brief, he argues that patient-consumers deserve to know: what they’re paying, whether there are more cost-effective alternatives, and potential harms and benefits of specific prescriptions. The score card also could compare costs of various drugs often prescribed for a condition, revealing, for example, that older, generic meds may be as effective and a whole lot cheaper. Friedman says he’d prefer to ban drug advertising outright. That’s unlikely to occur. But regulators and Big Pharma could be forced to educate consumer-patients much better, and to be less full of hype and more transparent about costs, benefits, and harms. Hear, hear to that. In case you’re wondering just who might be taking all these drugs with their sharply increasing prices, the New York Times offers some insight with a piece on “polypharmacy.” Paula Span, who writes “The New Old Age” column for the paper, notes that it is common for seniors to take five or more different drugs, prescribed by different physicians and specialists and given out by different pharmacies. This can be dangerous to these older patients, who also may take larger than normal doses in confusion, and, increasingly also combine herbal and vitamin concoctions with their prescriptions. Although Omega 3 fish oils are promoted for heart health, they can be a bad mix with blood thinners, causing bleeding. Experts reviewing seniors’ polypharmacy have found they often take aspirin along with anti-clotting and blood thinning meds, again, combos that can lead to excess bleeding. Medications, especially in combinations, also can make patients dizzy, contributing to the already high fall and injury risks for the old and frail. The problem of polypharmacy isn’t new. The Times piece is a great reminder that friends, family, physicians─especially primary physicians─need to be dogged with their older patients to know all their conditions and meds, checking often to ensure these don’t create problems of their own.